INRA (National Institute of Agricultural Research) is associated with the MEAD by the contribution of Martina Tuscano, a researcher who studies Mouans-Sartoux experience. "The study we're doing is about understanding the issues at the territorial level to see the levers and the brakes for a transition to greener agriculture and food, she says. The commitment of Mouans-Sartoux to offer a quality food and respect for the environment, especially through the initiatives of the MEAD, makes this city an ideal place to observe the mechanisms of these changes. »According to Martina, "The quality of what we eat and its environmental impact result, among other things, from the dynamics generated by a multitude of actors: institutional, civil society, economic, research. " 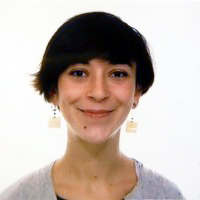 The subject of Martina Tuscano's thesis is "the conditions of articulation between the greening of agriculture and food in the context of just sustainable development".